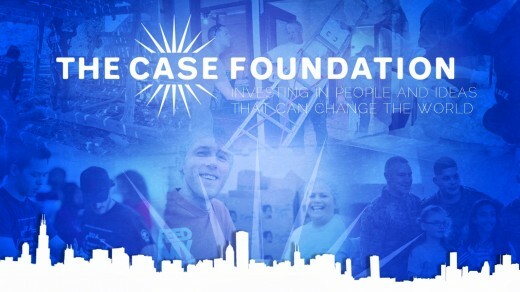 The Case Foundation was established by Jean and Steve Case in 1997. It invests in people and ideas that implement solutions to social challenges. It particularly focuses on combining the principles of entrepreneurship, innovation and technology to create exponential impact. Here are excerpts from its website. You can discover more via the following link. We established the Case Foundation in 1997 to reflect our family’s commitment to giving back and have sought to leverage our investment capital, broad network of passionate people, and our own experience to accomplish a simple mission: invest in people and ideas that can change the world. We’ve been involved in the Internet industry since the early 1980s, when we both moved to the Washington, D.C. area to play a part in the online revolution, and subsequently were part of building AOL into the leading online brand in the 1990s. Naturally, since launching the Case Foundation, we have consistently sought to tap the power of the Internet and technology to transform the social sector. The Case Foundation has led a series of innovative and collaborative initiatives that aim to leverage new technologies to empower and engage citizens in the U.S. and around the globe. Recent examples of our efforts to expand the role of citizen-centered philanthropy and experimentation with new technologies, such as social media, include America’s Giving Challenge, an online competition conducted in partnership with PARADE and Causes that engaged tens of thousands of Americans to get involved with causes they care about. In 2007, the Make It Your Own Awards called on citizens to connect with others, form solutions and take action on community issues. The Case Foundation has long believed it is better to focus its efforts on a small number of “big ideas” – focusing on a handful of swing-for-the-fences ideas that have transformative potential. While many of the “big ideas” we have invested in at the Foundation vary in focus, they all are built upon a foundation of leadership, collaboration and entrepreneurship and provide opportunities for meaningful scale and sustainable impact. We’ve learned many valuable lessons through our work at the Case Foundation as we’ve transitioned from a pure corporate focus in our careers to the philanthropic world, and we still believe there are new lessons to be learned every day. That’s why we’re so committed to their mission of investing in people and ideas that can change the world. What does the Case Foundation do? The Case Foundation is focused on expanding giving, promoting everyday philanthropy, deepening civic engagement, and broadening the use of new technologies to make giving more informed, efficient, and effective. Our goal is to expand the definition and practice of giving, and to help inspire a culture in which opportunities to give are everywhere, philanthropy is “democratized,” giving is more informed, every sector has a role to play, and giving in all its forms is more meaningful and enjoyable than ever. How did the foundation get started? Who does the foundation fund? The Case Foundation invests its resources in specific projects and initiatives that complement its approach to philanthropy. Our grants and staff time are focused on partnerships that we develop proactively with nonprofits, businesses, and other foundations. We do not review or consider unsolicited proposals. The Case Foundation has always believed in supporting the expansion of giving and civic engagement. To that end, the foundation’s initiatives are focused on making philanthropy more democratic by engaging individuals in innovative approaches to supporting the causes they care about. The 2007-2008 and 2009 America’s Giving Challenges – competitions that enabled individuals and nonprofits to easily leverage their online and offline networks to increase awareness, attract new donors, and encourage people to get involved with causes they care about. Here is a longer video in which Jean Case describes the contribution that can be made by young people.